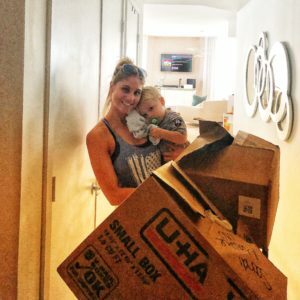 Moving to a new home is exciting but could also be nerve-wracking and tough- and guess what it’s even tougher on your toddlers! Today we chat about how to turn a move into a fun adventure that will help your little ones can understand. 1. Helping a toddler with the sudden change of environment is all about understanding and verifying their feelings, the fear of such change. Listen to them and let them understand what’s going on. Set their expectations. 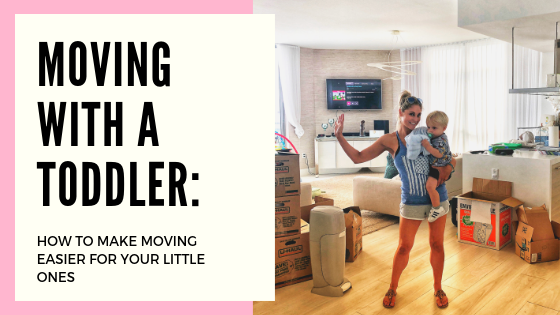 It’s crucial to let your kid grasp that they’re not going away their bed and their toys behind, but that you are packing them up and they are going with you. 2. Empathize with your kids. Toddlers get familiar with structures and their daily routine, thus, they won’t just have a lost feeling of their home, but they’ll even be disoriented from the various changes around them. 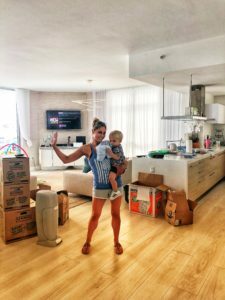 It will be normal for the toddlers to show frustrating behaviors during the shifting and that includes becoming disoriented from the changes around them. We have to adjust to them. We have to make sure they are assured that everything is okay. They may need a bit extra attention and understanding, time from you. Jakey got extra fussy on the day of the move. Before we walked out for the last time (while he as having a bit of a meltdown) I went into his room, sat in his rocking chair and we both took deep breathes. I totally need this too and I was so happy to take a step back for a moment and sit in that chair with him. We said goodbye and thank you to his room, we said goodbye to the boats and the things around us it seemed to settle his mood and he was much happier. In that moment I realized not only was he upset but I needed that moment to breathe myself. A move is very stressful for all those involved so it was beautiful to have a moment to breathe but even better with my babe to say goodbye, clear our thoughts and just be together in the moment. 3. Prepare kids by talking to them. Toddlers may not digest everything about moving into a new home but you have to make sure that you talk to them about it ahead of time. 4. Stay Patient with their mood swings. Expect that your kids might become anxious about the shifting and that is perfectly normal. Do not deprive them, let them express what they feel. Talk to them and answer whatever question they have for you. On moving day: Seek help. hire a professional moving company to do the logistics. That way, you’ll be available to your child when they need you. What to do after the move? Show your toddler around. Make sure to let your toddler see your new community. 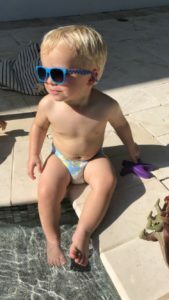 We showed Jakey his room, walked him to the park, showed him his new pool and got him familiar with his new home. Once we established this was HIS room he now loves to take anyone visiting straight up to his room and show it off! 5. Stick to the Schedule. One way to keep your little one calm and relaxed with the adjustment is to keep the old routines that they were used to i.e. 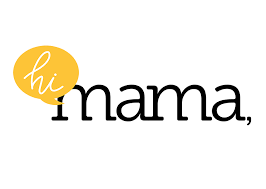 : family meals, game night, nap time and bed time. This will reassure and build a sense of consistency with the usual habits they had. After the move, Set up your child’s room first. Stay home as much as you can to get to know your new home, area, neighbors, parks, etc. Give yourself a couple days to unpack and get settled, this will help your child adjust faster. Keep things normal for a while, maybe for the first month or so after the move. Most of all, enjoy this exciting time as much as you can! Its busy, its crazy, its a beautiful mess but you want to do this in a way where you are efficient and get things done but also are calm, coo and having fun! 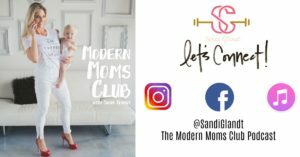 Also, make sure to also connect with me and other like-minded mama in my private Facebook Group – The Modern Moms Club where we chat all things baby, body, mom life and more! Can’t wait to connect with you over there!